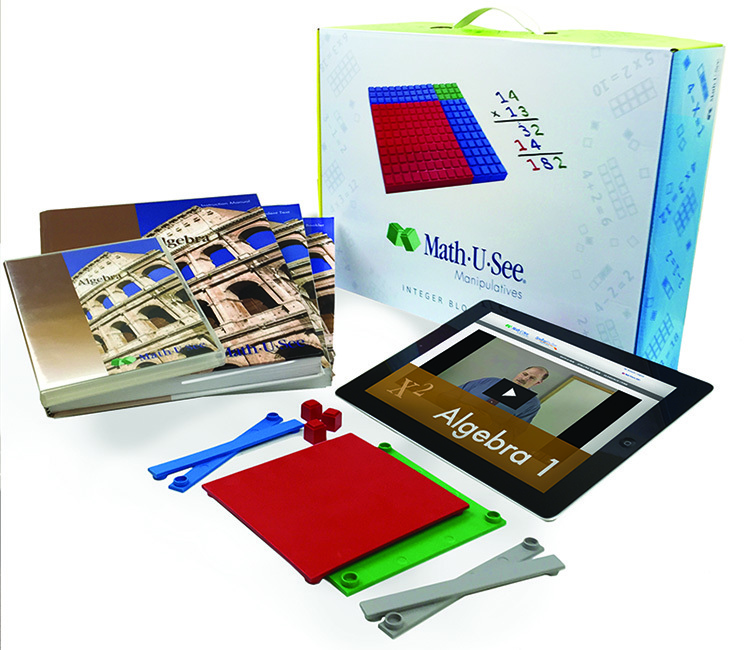 Math-U-See is a complete, skill-based, multi-sensory homeschool math curriculum for grades K-12 that's designed to teach students skills in a logical sequence. The Algebra 1 Universal Set includes everything you need for a successful experience with Algebra 1: Instruction Manual with complete solutions, Instruction DVD, Student Workbook, Tests booklet, Integer Block Kit, Algebra/Decimal Insert Kit and 12 months of access to our new Algebra 1 Digital Pack. Math-U-See Algebra covers Graphing, Simultaneous Equations, Exponents, Polynomials, Unit Multipliers, and more.